The Toronto Oslers were a powerful amateur (and later professional) team from Toronto. Back when travel was quite the adventure the Oslers made a barnstorming tour of Canada. 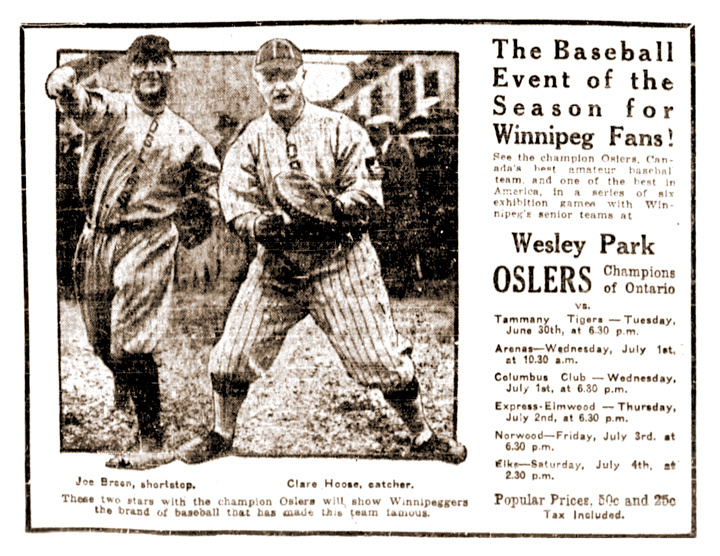 Above, they stopped off for six games in five days in Winnipeg en route to Vancouver to meet the famous Asahis.